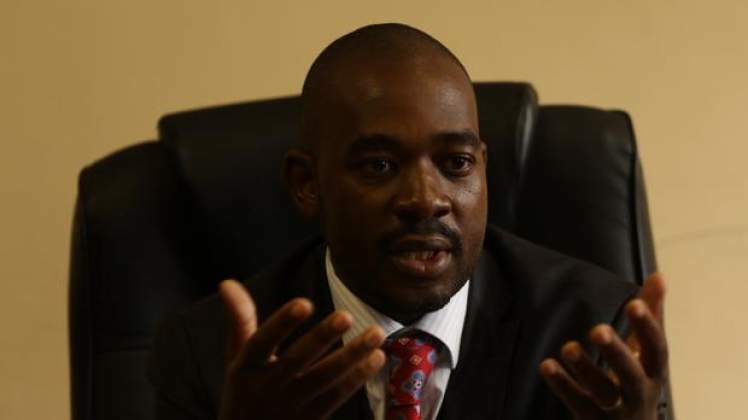 Fresh political crisis is brewing for MDC leader, Nelson Chamisa, after he stayed away from the political dialogue meeting called by President Emmerson Mnangagwa at State House yesterday. The opposition leader is on the record calling for dialogue, but yesterday's no show irked the Zimbabwe Catholic Bishops Council (ZCBC) which is one of the voices behind the national dialogue mantra. A source privy to the developments confided to the Harare Post informing that the Bishops had since engaged Chamisa over the ‘snub' and stressed that he risks being left in the ‘cold' if he continues on his defiance path. The highly placed source revealed that "the party is divided over the dialogue issue as a reasonable faction inclusive of Secretary General, Douglas Mwonzora, believe that it is the best foot forward." The party's bigwig added that pressure was mounting on Chamisa as the ZCBC made it no secret that he was taking things too far as the country needed an immediate political and economic solution. Mwonzora pulled the rag from under Chamisa's feet today when he posted on Twitter that "attending the National Leadership Breakfast meeting at the HICC in Harare organised by the churches. The efforts by the churches to bring together the nation's political protagonists should be commended and supported." Political tables are certainly turning against Chamisa since the declaration of his set of pre-conditions for the political dialogue. However, the political leaders who met President Mnangagwa yesterday declared that there should not be preconditions for the national talks leaving Chamisa singing a different hymn from the rest of the politicians. Chamisa made headlines demanding that no dialogue would take place unless Government released suspects arrested for looting, burning and destroying properties across the country. The declaration came at a time Chamisa disowned the protestors as not being MDC and acting out of their personal wishes.